Now this is some smart fuel we can live with! Step aside kale, move over broccoli: the best way to ward off a wintry cold is to drink red wine. You’re not reading that wrong. Not one, but two major studies have just reported evidence that those who drink wine moderately – no more than two glasses a day – have better immunity and resistance to infectious cold viruses than those who do not drink. This benefit is cancelled out if you’re a smoker, however. 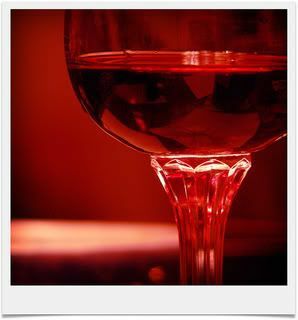 Of course, red wine is also healthy because it is rich in resveratrol, a vital antioxidant. To learn Mark’s great and creative ways to enjoy wine more often, read How to Drink More Wine and Eat More Chocolate Every Day. If you do not drink wine and even if you do..according To Dr. Oz the single best thing you can take is Resveratrol supplements to increase your health and longevity. Other benefits include more energy,better sleep and reduced appetite. which is consistent with the amount claimed on the product’s label. to have significant levels of heavy metals or other contaminants. Just want to add that red wine also contains saponin which is said to help lower cholesterol levels as well besides the normal benefits it gives the drinker. What about port wine? Is that too sweet to be consumed Primally? After 5 1/2 years of zero alcohol consumption, I made an educated decision to pick up drinking red wine again – the only alcoholic beverage I actually enjoy drinking. I don’t seek to feel buzzed or drunk so I drink wine in moderation (half a glass two to three times a week). At the bar, I always ask a fellow wine drinker to split a glass with me so there’s no awkward ordering or explaining to do. They’re done in three sips and happily order another (full) glass while I savor my half glass over a couple hours. I drink two tall glasses of water with my wine and won’t touch it until I have a substantial amount of food in my stomach. I also pair my wine with a small piece of dark chocolate, which helps me fight sugar cravings. I used to binge drink, but with these simple rules and adjustments in place I can enjoy drinking responsibly with no consequences, only rewards. Looking forward to the health benefits as well. Cheers! good for you! A healthy life is a happy lifestyle! Everyone should be able to do what they enjoy & figure out ways to do them in moderation. I’m disappointed to see alcohol described or implied as a healthful option. It clearly isn’t. It’s a poison – literally. I have no issue with those who choose to imbibe the stuff – it’s a free world. You don’t need my approval do you? Like I said though, disappointed to see it here. Plainly wrong. I’m positive Mark is not recommending people drink excessively, get drunk or even drink wine everyday. However, there’s too many scientific studies done on the antioxidant benefits from wine to negate. It slows blood glucose, boosts immune system & fights cholesterol (especially great for those with heart issues) like no other drink can; specifically because of the fermentation process. Drinking is a personal preference & as a Registered Dietician I think it is a very positive way to enjoy nature’s benefits & completely safe to have a glass a day. I LOVE wine & for about a year have started drinking it on a more regular basis. I used to only have a glass here & there at a restaurant or out to a friends for dinner. However, the last year I have slowly started drinking it more and more. I now typically have a glass or 2 (depending how work was that day!) about 3-4 times per week. I eat really well but have gained probably 4-6 pounds this past year & was wondering if wine could be the culprit; especially, because I drink it at night (between 7-11pm). I really hope wine is not why I’ve gained but rather that I wasn’t working out barely ever this past year due to excessive workloads. I am back on track with working out & trying to cut carbs, so hopefully the weight will drop & I can still enjoy wine 3 nights per week! Hi Mark, the link to the two studies about benefits of wine is broken. Sounds like good news — would love to see the studies.